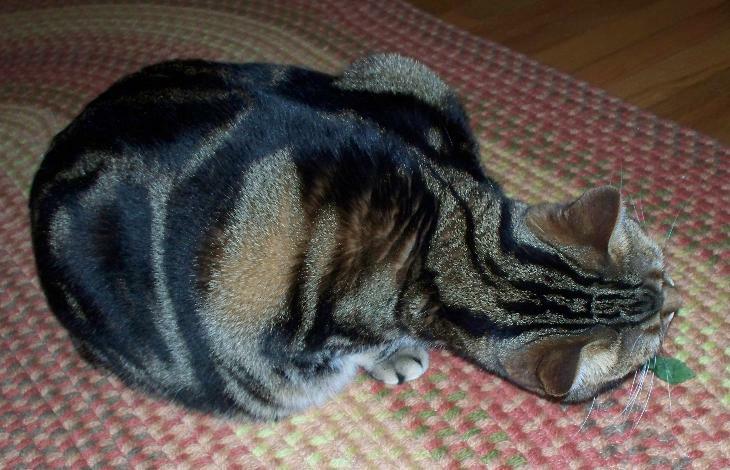 Catnip can be used in several ways, but when you have a cat it’s a joy. Some cats like it picked fresh from the plant, some even eat it from the plant, and most like it dried. To dry it just put the leaves on a single sheet of paper on low in the mircrowave for a few minutes. It’s best to check it every three minutes so it doesn’t burn. My cat, Mia, always comes into the kitchen to beg for warm catnip. Since it grows fresh all year long, she prefers it that way, but only if I pick it for her. Fresh leaves are waiting for her in the snow in the winter. In the summer it’s on the rock. Once it grows in your garden you will always have catnip unless you make a determined effort to get rid of it. This jar of dried catnip is waiting to be delivered to a cat named Luciano. Luciano is waiting no longer. He enjoys a catnip treat every morning. 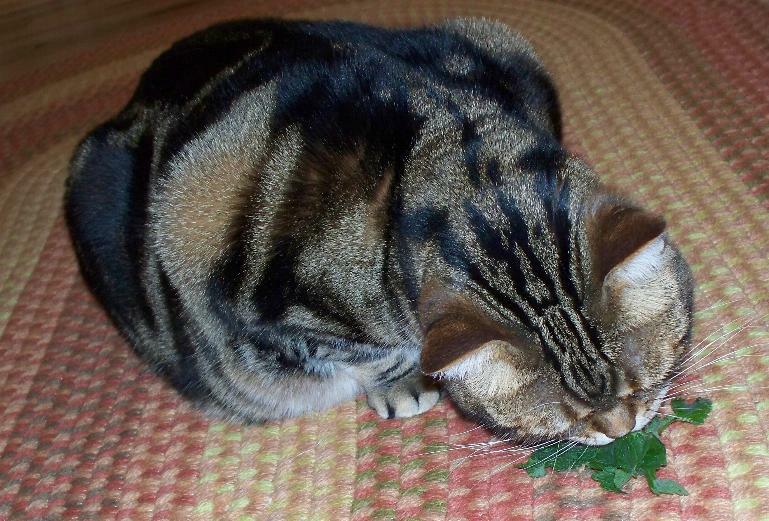 Merlyn also enjoys a Christmas treat of fresh catnip.